Choose from either a general purpose double sided tissue tape or a premium quality tissue tape. 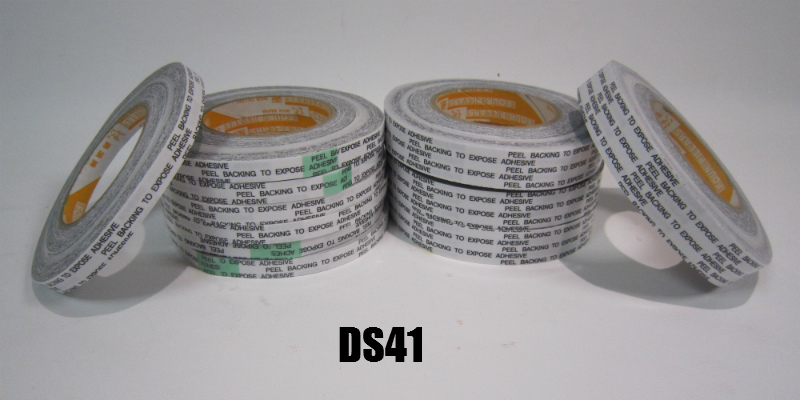 DS41 is a premium, double sided tissue tape with an acrylic adhesive and a printed ‘remove to expose adhesive’ liner. The product has a high initial tack and superior long term aging. Highly conformable to most surfaces. Excellent temperature and solvent resistance. Used extensively in the print finishing industry.Tape thickness 0.12mm. 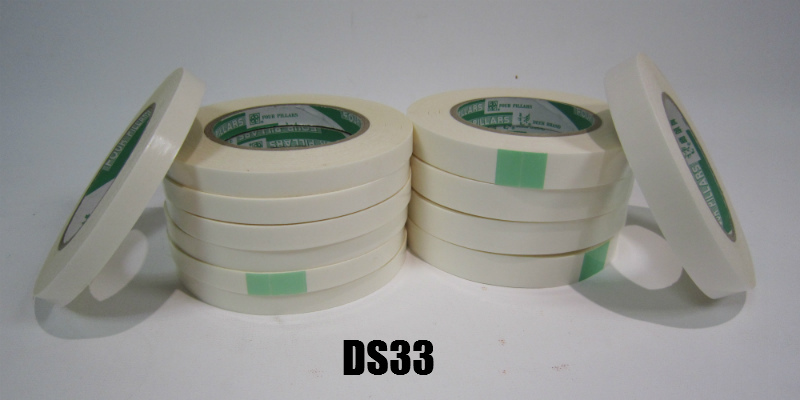 DS33 is an economy double sided tissue tape with a good coat weight of acrylic adhesive. Easily conformable and exhibits a good initial tack. Ideal economy tape for bonding of paper and board in the print finishing industry. Available in sizes from 3mm upwards.Tape thickness 0.09mm.